The marriage allowance was introduced back in 2015 and allows some married couples to reduce the amount of income tax they pay. 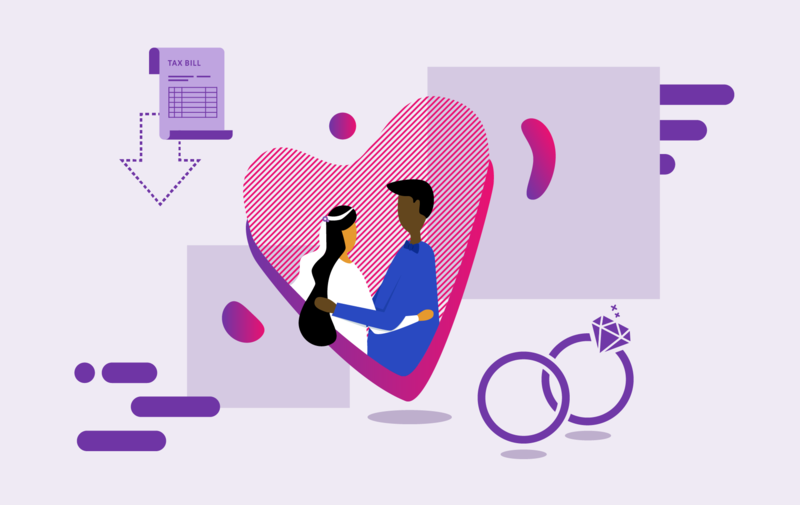 However, it’s not particularly well understood - according to data from the government last year as many as two million couples are eligible for the tax break but have not yet applied for it. So how does it work? And how can you take advantage in order to reduce your tax bill? Everybody in the UK benefits from a personal allowance. This is how much they can earn in a single tax year which is not subject to income tax. For the current tax year it stands at £11,850, though it will be increasing to £12,500. As a result, if I earn £20,000, I only pay tax on £7,500 of that income. However, there are lots of people who earn less than the personal allowance each year, perhaps because they are a stay at home parent or only work part time. The marriage allowance lets one partner transfer some of their unused personal tax allowance to the other partner. The partner transferring their allowance needs to be earning less than £11,850. They can then transfer £1,190 of their allowance to their higher earning partner. However, this higher earning partner needs to be a basic rate taxpayer. In other words, their salary needs to be no higher than £46,350 a year. If you are a higher or additional rate taxpayer, then you can’t apply for the marriage allowance. Because your personal allowance is being increased, you can earn more money without the taxman taking a slice. In effect this is worth around £238 in the current tax year, while you can backdate your claim to include previous tax years dating back to the introduction of the marriage allowance in 2015. It’s really important to note that this tax relief is only applicable if you are married or in a civil partnership. If you just live together, even if you have been in a relationship for a long time, you cannot take advantage. The income bands are slightly different if you are in Scotland too - the higher-earning partner must pay either the starter, basic or intermediate rate, meaning their income is no higher than £43,430. You can apply online directly with HM Revenue & Customs (HMRC) for the marriage allowance. If your application is approved, then HMRC will usually give the higher-earning partner the extra allowance through a change in their tax code. If they are self-employed, then this can also be handled when they send in their self-assessment tax return. This transfer will then happen every year unless you tell the taxman that your circumstances have changed. There are circumstances in which you will no longer qualify for the allowance. The most obvious one is if the marriage comes to an end. If you get divorced then you will need to inform HMRC. You’ll also need to get in touch with the taxman if the income changes for either partner. This may be because the lower-earning partner is now earning above the personal allowance or because the higher-earning partner has moved into a new tax bracket.